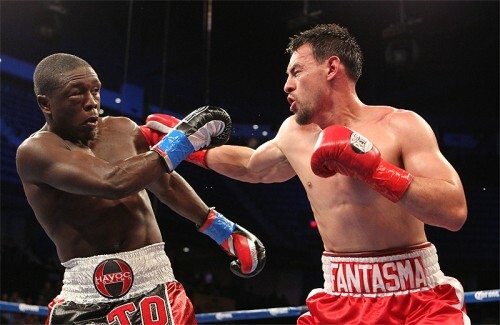 Robert Guerrero's retirement did not last very long. The former two-division world champion will return to the ring against an opponent to be named on the undercard of the Deontay Wilder-Tyson Fury heavyweight world title fight on Dec. 1 at Staples Center in Los Angeles, California, "The Ghost" tweeted Thursday. However, the bout will be untelevised. Guerrero (33-6-1, 18 KO's), 35, of Gilroy, California, who won world titles at featherweight and junior lightweight, including a pair of interim belts at 135 and 147-pounds, has not fought since July 2017 when he suffered a brutal third-round stoppage at the hands of former lightweight world titleholder Omar Figueroa Jr. For Guerrero, it was the first knockout loss of his 16-year professional career. Guerrero's most significant accomplishment came in 2012 when he outpointed former world champion Andre Berto in a tooth and nail fight to earn a shot at Floyd Mayweather in a May 2013 welterweight world title bout that represented the first bout of Mayweather's six-fight deal with Showtime. Mayweather, who dominated the fight by unanimous decision, earned a guaranteed $32 million for the fight, while Guerrero received $3 million, a career-high. Following the loss to Mayweather, Guerrero's career spiraled downward. He took a one-year layoff before outpointing Yoshihiro Kamegai in June 2014. However, his left eye was beaten shut over the course of 12 rounds, and was forced to take another lengthy layoff before taking on Keith Thurman in the debut of Premier Boxing Champions on NBC. Thurman dropped Guerrero hard with a series of blows in the ninth round of the fight and won a lopsided unanimous decision. Guerrero went on to lose three of his last four fights, suffering losses to former champion Danny Garcia, as well as journeyman and part-time taxi driver David Peralta, and Figueroa.